Home Brad Killmeyer Write to Dream: What does your FUTURE look like? Write to Dream: What does your FUTURE look like? 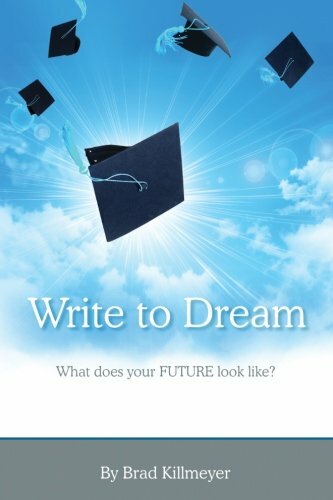 Write to Dream is for dreamers, high achievers, and for people that are looking for a change. Unlike other journals, this book is not simply about recording the day’s events but provides you with an easy-to-follow routine which lays the foundation for your success. In the end, you will not get a grade, you will get results. "I consistently followed Brad's principals in Write to Dream. I set goals, prioritized my day, and kept a positive attitude. These teachings lead me to a first place award in a business competition, in which my partner and I won $1,500 to start our business." "Write to Dream is more than a journal, it provides outstanding guidance and support for students trying to reach their potential. "Write to Dream holds students accountable for their actions, teaches time management, and makes sure that each day starts and ends in a positive way." Brad Killmeyer is a youth speaker and the owner of Formulate Your Future, LLC. Through his personal story and experiences, Brad helps entertain and inspire high school students to overcome challenges and use those challenges to their advantage, deal with judgment from others and learn how to not let those judgements effect them, and much more! For more information on Brad Killmeyer and to learn how you can reserve him for your next high school, college, or organizational event, visit BradKillmeyer.com.